Evaluation of the practical application of EUS compared to CT scan in staging of gastric malignancy. Patients diagnosed or clinically suspected to have gastric tumour were subjected to upper gastrointestinal scope and EUS at the same time. Forty patients were involved in the study over two year period. Last three cases were excluded from the study as the diagnosis was not primary gastric malignancy and five patients were excluded as they did not undergo operation and no operative pathology obtained. All patients had staging CT chest abdomen and pelvis (cap). 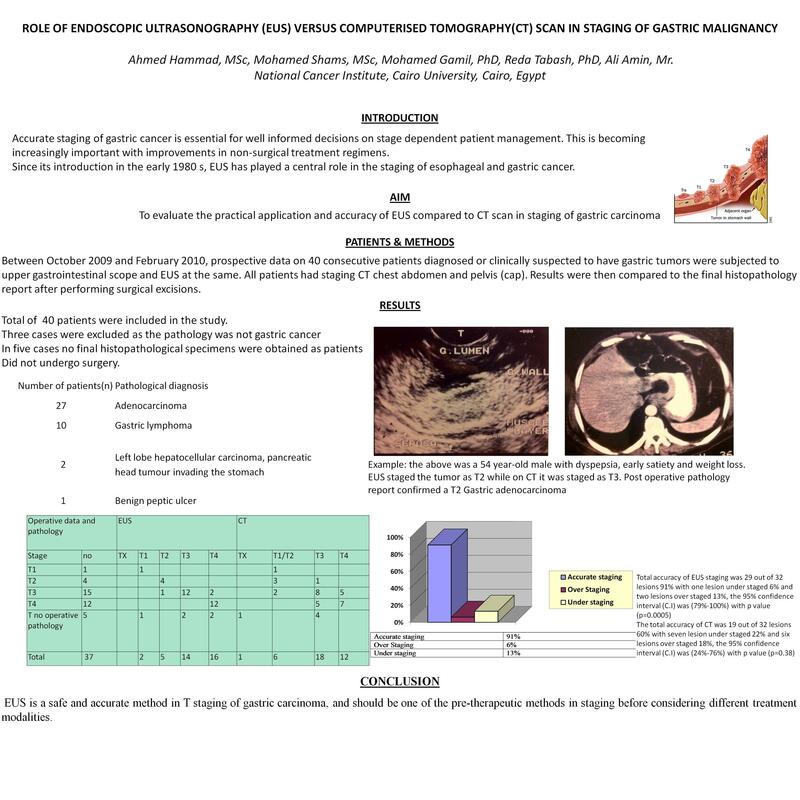 EUS is a non invasive safe and superior to CT scan in T staining of gastric malignancy and should be one of the pre-therapeutic methods in staging before considering different treatment modalities.